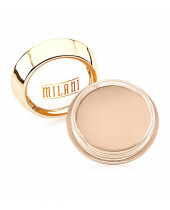 When you really need to conceal rather than reveal, opt for this full-coverage camouflage cream. An ace at hiding stubborn imperfections like dark circles, age spots and scars, it’s waterproof, budge-proof and built to last. Think of it as peace of mind in a tiny, pocket-friendly jar.